Better ventilation, more milk and meat! A robust and secure structure designed for Northern conditions. Outside and inside UV-protected, no yellowing! 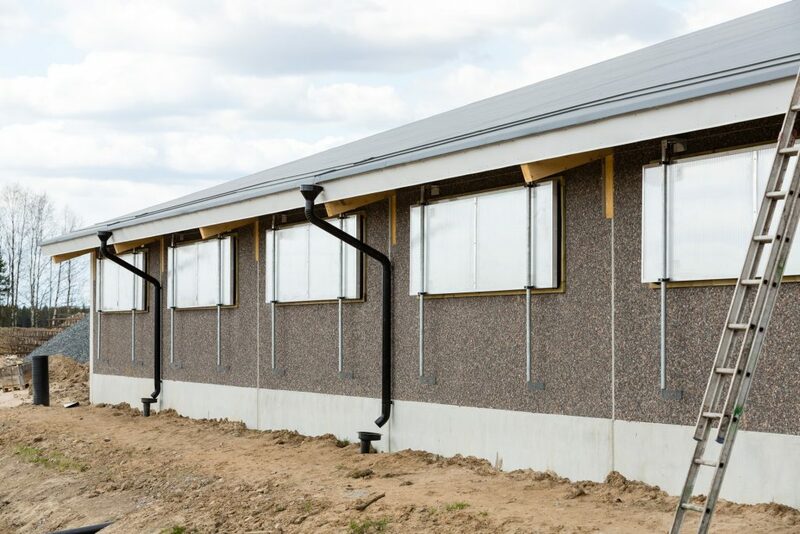 The Cell Windows are designed to enhance the air supply in barn and improve airflow adjustment. In milk and meat production, good ventilation is an important factor in productivity. The steplessly adjustable Demeca cell windows are a high quality and long-lasting solution for replacing old windows. The Demeca windows are structurally robust and durable year after year in demanding Northern conditions. Our Cell Window customers’ satisfaction with the product and service is top-notch and with increased milk and meat production, the investment pays off quickly. 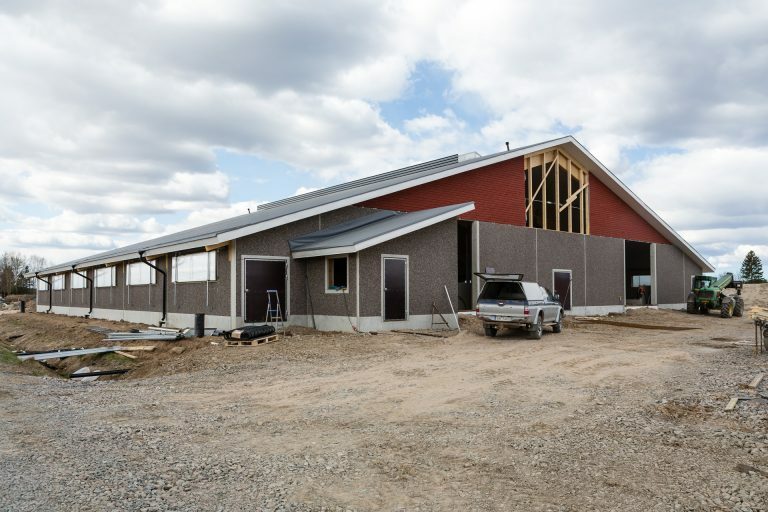 The cell windows can be used for additional ventilation for renovated barns or as the only ventilation system for new barns. 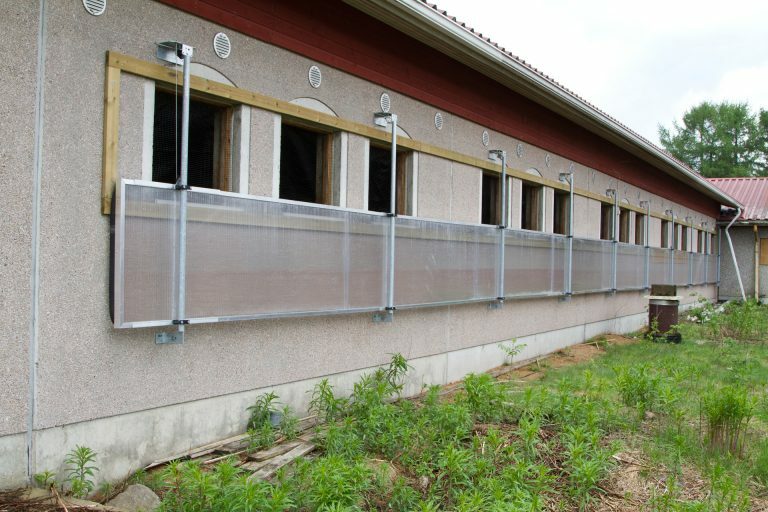 The cellular sheet is air-tight and of extremely sturdy design, UV-protected inside and out, hot dip galvanized frame structures and aluminum frames. These are all included in the long-life Demeca Cell window. Our customers’ satisfaction with cell windows is at a very high level. High-grade seals work well in our climate. The windows remain firmly in place, and the cellular sheets do not turn yellow on either side. And most importantly: Demeca windows enhance natural ventilation and increase productivity and animal comfort. This means cold cash for the farmer. New cell windows? Request a quote now.